After hours of combing through our archives, we feature some places worth a visit over the holiday period to get the most out of Beijing before the cold has us shuddering at the thought of having to go outside. These places are action packed and hopefully the weather and air quality index permit a day out. Avoid the crowds at places like Tiananmen as even walking 200 meters will take an eternity. 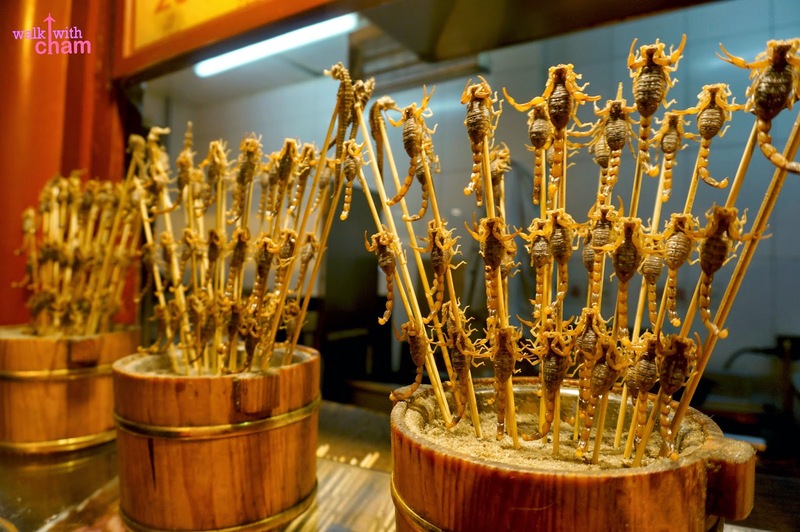 In Wangfujing, you can purchase anything from writhing, skewered scorpions to glowing ivory tusks carved into fine, silky ribbons of light. Here, Buddhist monks walk in clusters past poetic logos in French and Italian. Among shops like Gucci and Cartier, sink your teeth into candied hawthorn. Though shopping is clearly the main attraction here, Wangfujing is also rich in history, culture, and fun things to do. Wangfujing has its own subway stop at the southern end of Wangfujing Dajie by the Malls at the Oriental Plaza. From the subway stop, head north along Wangfujing Dajie until you reach St. Joseph’s Cathedral (1) between Baishu and Ganyu Hutong. This beautiful church has been torn down and rebuilt countless times, and it is one of the few rare historic churches that remain in Beijing. Its small outdoor square is often an unofficial stage for aspiring hip-hop dancers and skateboarders; kids are certainly free to join in the fun. At night, visitors can also admire the floodlights that bathe the church in a soft glow. Further south on Wangfujing Dajie is the Foreign Bookstore (2), not to be confused with the Wangfujing Bookstore, located on the southern end of the Wangfujing Dajie. Both have an extensive collection of books in English. You can spend hours meandering through the pages of fine literature, children’s classics, picture books, and even music. At the corner of Wangfujing Dajie and Jinyu Hutong is the Beijing APM mall, which houses clothing stores like Gap, Zara, and Forever 21. If you are interested in browsing the latest computers, tablets, or other glorious technological tools, it is also definitely worth a visit to the Apple Store. At 4,000sqm, this Apple Store is not only the largest in Beijing; it’s supposedly the biggest in all of Asia. Apple fans and techies of all ages will love testing out the latest versions of Apple computers, iPods, iPads, and iPhones. What to find out more? Here is the full version.